This project was a finalist for the Service Design Award 2016 in the category: Commercial, professional work. 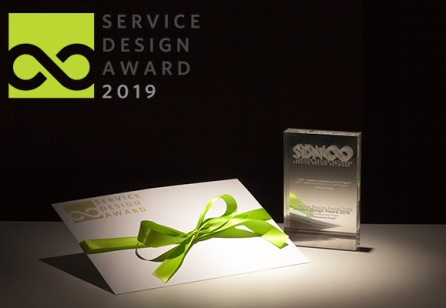 Solving mobility poverty through service design- Mobility poverty is a societal problem shared by many rural areas worldwide. 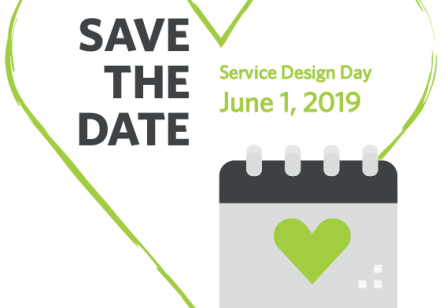 This project applied service design to provide answers from a new perspective. Currently, while urban centres see ever growing populations and a modern approach to their mobility demands, mobility problems in under-served rural areas are easily overlooked. Rural mobility problems compound into mobility poverty: when a lack of transport options equals fewer opportunities for activities, employment & access to services, ultimately denying rural citizens to participate in society. Mobility poverty has not spared Belgium; the Flemish region of Westhoek typifies the issues faced by rural regions. The dominance of the car leads to up-scaled and ever farther opportunities, generally reducing the potential and competitiveness for alternative (and often more sustainable) modes of transport. This means longer and more complex trips for those relying on the few & disappearing mobility options. to make hard choices regarding access to work, services, or even healthy food, the vicious cycle of mobility poverty is enforced driving citizens further into a corner of society. In de Westhoek, former solutions to this “wicked problem” failed for being supply-focused (not answering real needs), and any regional policies developed were not necessarily supported by national interests. 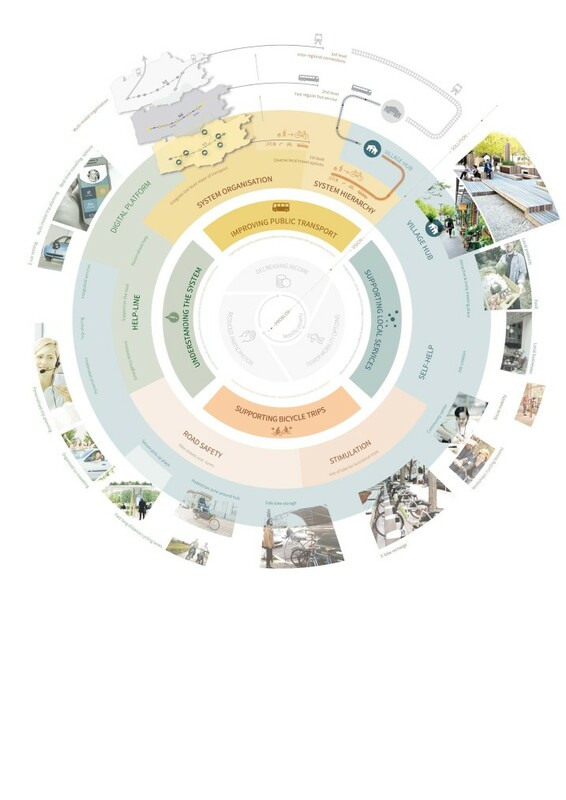 To finally provide a comprehensive answer, the Flemish design promotion agency initiated a project to meet this challenge through service design, joining forces with mayors of villages in the region, a municipality-level bike promotion organisation & the public transport operator of Flanders. 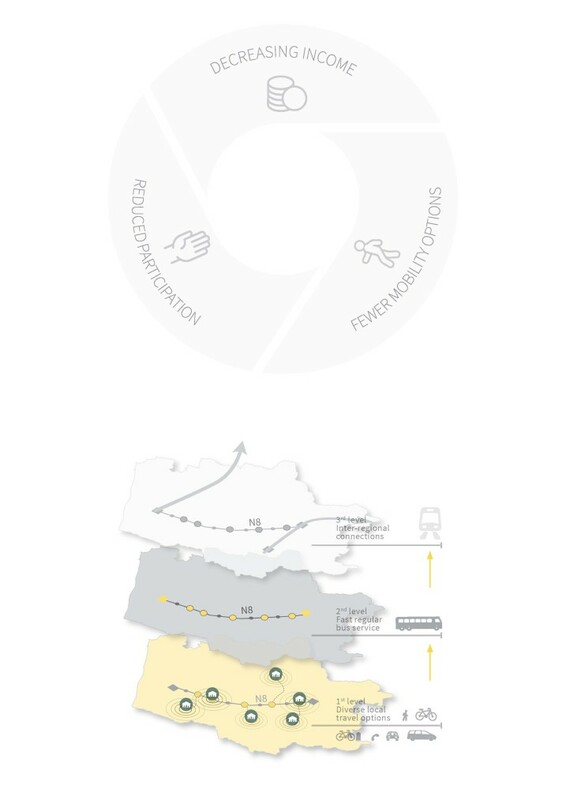 ‘to formulate an relevant answer on mobility poverty, answering with a coherent, systemic vision on sustainable mobility in the region, to identify opportunities and to answer to real user needs’. The overall double-diamond process was uniquely marked by the inclusion and involvement of a large and varied stakeholder group at all points during the project, in effect creating the entire development as a co-design process. This working group included the clients but further consisted of: users, experts, and the social sector as well as industry and policy areas. Sharing local as well as divergent interests, they ensured a critical and holistic view during project development. In addition, all stages featured interactions with end-users or special interest stakeholders in purpose of the specific exercises needed. Specific co-design sessions were organised on two levels: with end-users and on a policy level. Listening/Insight – observations were gathered first hand, immersive and through a wide variety of local stakeholders. Insights were validated by the stakeholder working group. Scoping – insights were summarised into a global vision with 8 well-defined policy directions in four domains, allowing validation and serving as a clear and solid foundation to co-design around. Concept Co-Design – the policy directions were ideated around by the end users and stakeholders, resulting the 4 policy domains to include tangible solutions. One of the solutions being the Village hub – the multi-functional and multi-modal point of access to the mobility system. 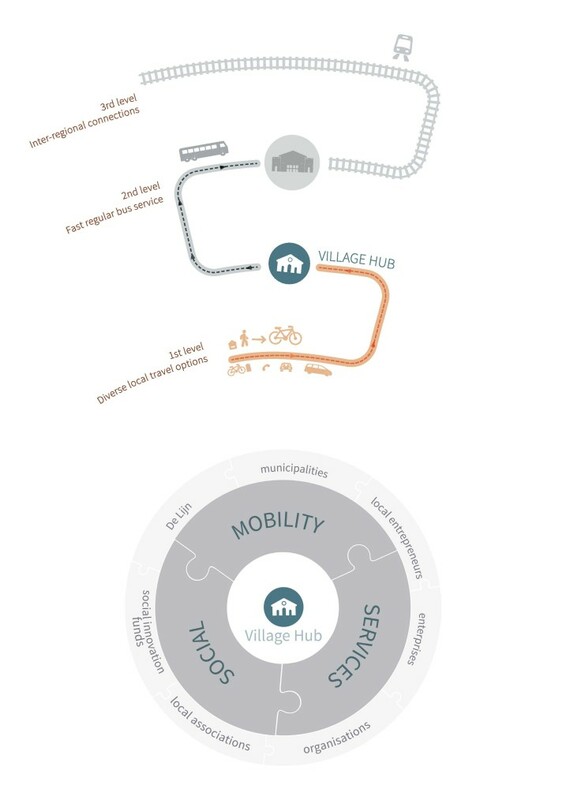 Testing – the 4 policy directions were made tangible through scenarios and the Village hub concept was physically elaborated, before being brought in front of mobility experts, commercial stakeholders and local politicians – to validate feasibility. Implementation – beyond the projects ambition, today 3 Village hubs are in course of being prepared for implementation. The value of emphasising co-design holistically was clear in the results of all phases of the project. The listening/insight & scoping stages were marked by thorough involvement of the stakeholder group throughout 5 workshops, making it possible to accommodate for the needs of everyone and maintain continued enthusiasm for the project in later stages of the process. Analysis via a week-long immersion of our 5-person team allowed us to follow users most affected by mobility problems and fully understand their concerns. This had the added benefit of establishing a network of local experts who later brought further insights into the project. Also, subsequent solutions related to the logistics of the hub & geography of the region could not have made themselves known had it not been for the immersion activities. Following the scoping workshops, the vision containing 4 policy domains was broken down into 8 strategies in order to guide the concept development for the co-design groups. Being a well-defined collection of opportunities, this meant co-design work was started with clear directions in which to proceed in pursuit of solutions. This allowed us to include a greater variety of stakeholders in the process as we were able to provide them with a more tangible means of solving the many intangible problems. Our added value as a mobility design agency was evident most in this stage as our ability to guide the co-design participants smoothly through the process was a result of our understanding of how to communicate mobility problems clearly, and how to process the results before entering the next level of co-design workshops. 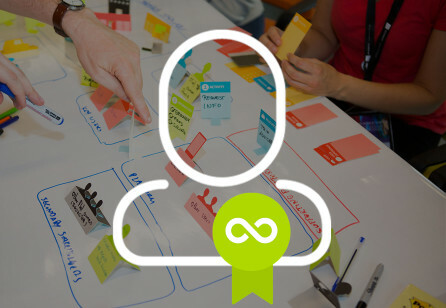 Concept co-design featured a process that utilised a further collection of users, some overlapping as part of the stakeholder group, as effectively as possible in the face of such an abstract problem. The tiered workshops in this phase focused on individual steps of the design process benefiting the participants by reducing the scope of the immediate task and providing adequate time for deep thinking along clear goals. We made the best use of our time using face-to-face interviews with underprivileged users, later placing their individual perspective in the context of the problem at large. Their perspective was at the same time reinforced by including organisations who could speak on their behalf. In this way, the ultimate benefit to our client was the relevancy of this project in the eyes of everyone involved. At this stage, the Co-design process yielded two overall results: the policy domains supplemented by potential solutions, and an output on a physical level being the Village hub concept. Improving the understanding / legibility of complex transport systems - live help plus digital integrated support. Stimulate the (safe) use of the bike in the mobility chain. The hub serves as a community centre, and supports the self-help potential of citizens, on mobility or in other areas. Social as well as commercial partnerships. E.g. (social) job creation & job experience. Commercial viability. Rotating services with other hubs. Space renting, workshops, etc. Bringing life back to the villages - with qualities as a place. Further co-design was performed with policy makers – being immersed into the subject through development of user travel support tools, and further deliberating on the policy and Village hub outputs. As a result, further insight was offered in how to present the results for the testing phase. The applicability of the proposed policies as well as the Village hub concept needed to be made more tangible before being brought in front of mobility experts, social and commercial stakeholders, and local politicians – to test their reactions and validate feasibility. In order for the policies to be tested, an interactive presentation was made, coupling policies with their solutions. On mobility aspects, local implementation in set in scene through scenarios, including estimated budget implications. 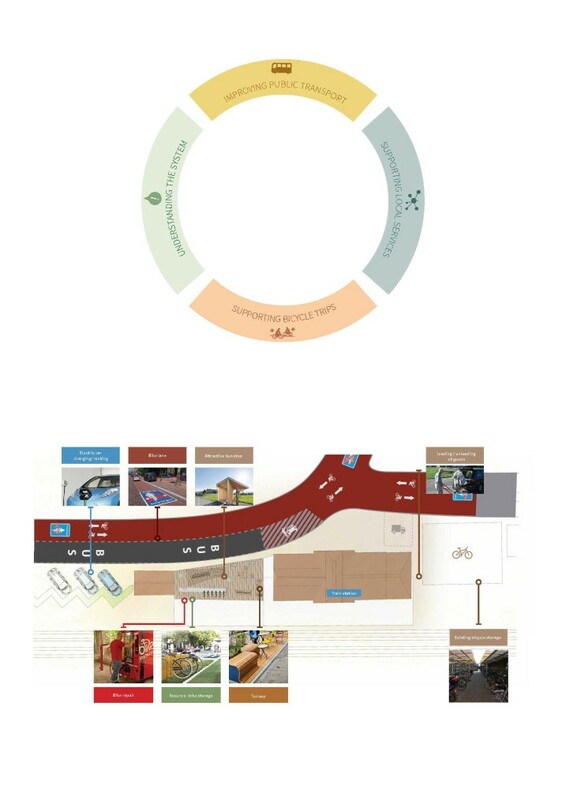 The Village hub concept was visualised with user scenarios, as well as designed and visually elaborated. Before the Village hub concept was successfully validated with policy makers & mobility experts, we were already experiencing enthusiasm in the eyes of the workshop participants, some organisations even following up with grass-roots hub solutions regardless of the outcome of the project. Nevertheless, a positive response from experts and critics meant that its potential could not be ignored, inspiring confidence in the implementation and allowing for the pilot studies to proceed. 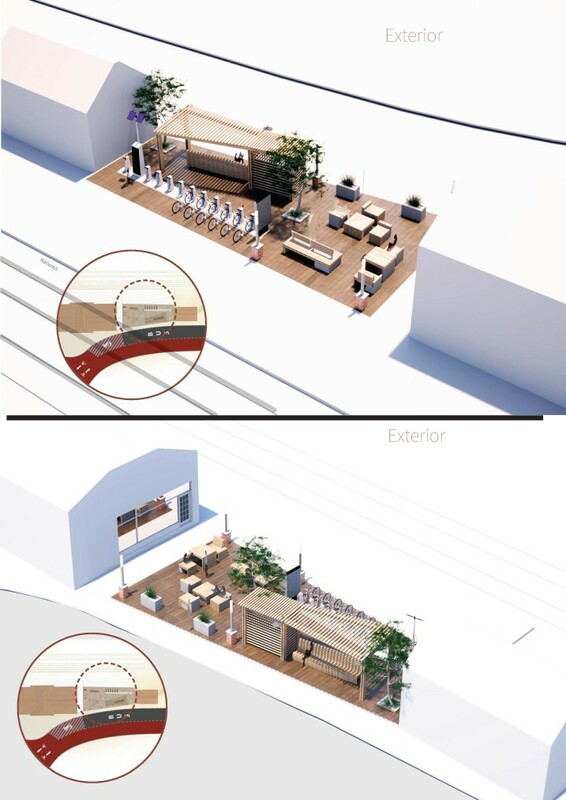 As an aesthetic solution illustrated is easier to implement, our proposed design of the hub further helped to cement the feasibility of the project clearly communicating the overall attractiveness of the concept. Thanks to this three different Village Points are currently planned in the region. The village point concept was seen as having enough potential to be brought to life as a real-world pilot study. Tree potential pilots are currently being investigated, aiming to reach a real-life testing phase. One pilot is already approved for development stage. Adding value to the real-world test, each of the pilots adapt to local context and mix of ingredients - as the Village hub concept intended. Dynamics were set in motion at political level (local, regional and national). Success and satisfaction in the village point concept has started a dialogue. Positive reactions from mobility experts, who supported the insights and proposals, which advocates to advance towards real solutions. 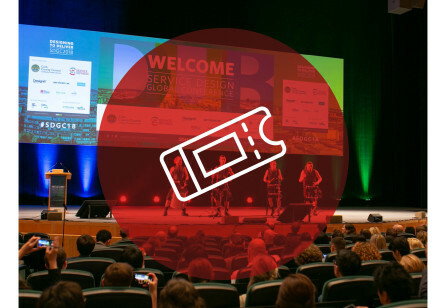 There is now a greater promotion for design thinking as an approach to solve systemic and societal problems, even if considered ‘wicked’. The project has proven the value of approaches such as multi-stakeholder involvement, co-creation, user involvement, prototyping, etc., in areas that are not accustomed to these techniques, such as government. The project has contributed to the realization that public officials need new ways of developing policy instruments and of delivering public services.